Nine baluster creamware custard cups. The pot de creme conform to the 1816 published shape in the Wedgwood catalogue. 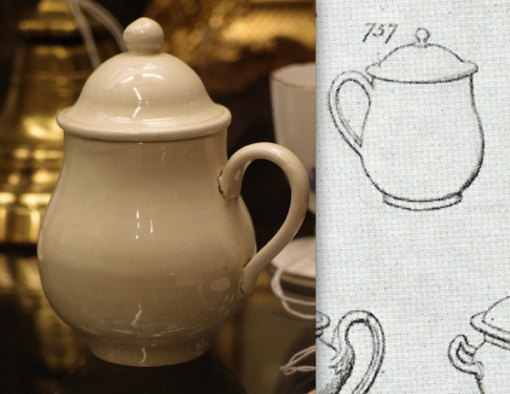 They are unmarked, but if Wedgwood, the mark perhaps may only have been on the plateau, or footed stand,? that they would once have graced.